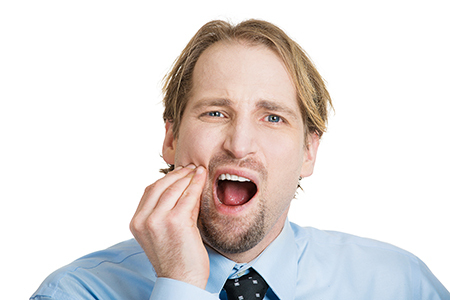 Teeth grinding, also called bruxism, is often viewed as a harmless habit. Some people develop bruxism as a reaction to stress or anxiety. However, teeth grinding can literally transform your bite, or even worse, severely damage your teeth and jaws over a long period of time. Teeth grinding can cause abrasion to the chewing surfaces of your teeth. This abnormal wear and tear will prematurely age and loosen your teeth, and make them vulnerable to problems such as hypersensitivity (from the small cracks that form, exposing your dentin). Bruxism can also lead to chronic jaw and facial pain, as well as headaches. The good news is, Bruxism is treatable. A common therapy involves patients wearing a special appliance while sleeping. Less intrusive, though just as effective, methods include biofeedback and behavior modification, which may entail doing exercises to help properly align your tongue, teeth and lips. Every case is different, so it is important to schedule an exam to determine the extent of the problem. Our doctors will determine whether your teeth grinding is causing damage, and if so, discuss appropriate treatment options.